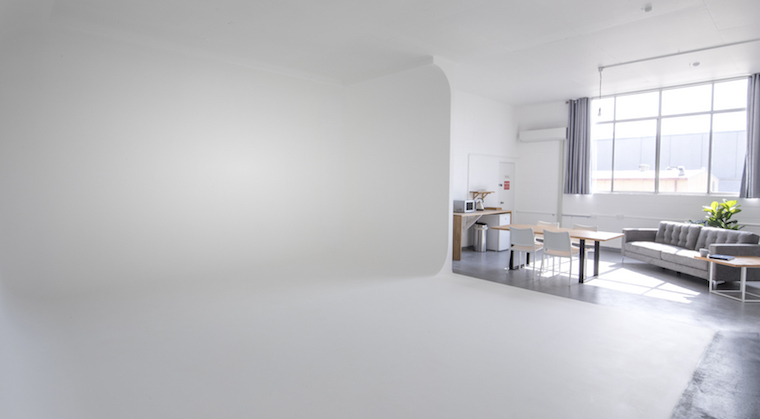 Studio One is a full-featured motion and stills studio with private self-contained facilities. It features a 3.6M high 6 x 7M double-corner cyclorama, huge north-facing windows and all the facilities required for a professional production. 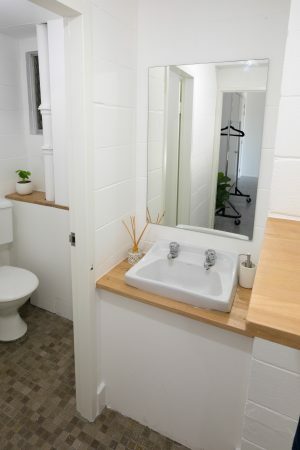 The facility includes a private kitchenette and client area, as well as a dressing-room with private bathroom and shower facilities. 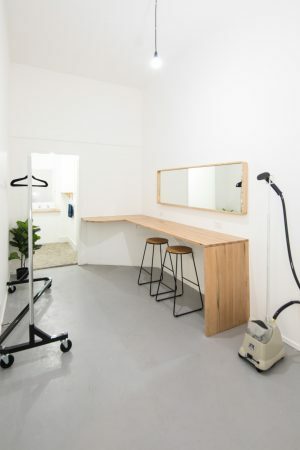 The studio is soundproofed**, has professional acoustic treatment and includes 10A, 20A and 3-Phase power options. 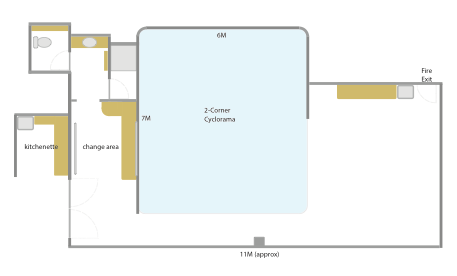 – Food and drink Preparation area with microwave, fridge, tea and coffee making facilities. (additional $50 for usage of 3 Phase) Access to a wide variety of rental equipment available on request. ** Please note, although Studio One has professional soundproofing it is not 100% soundproof.